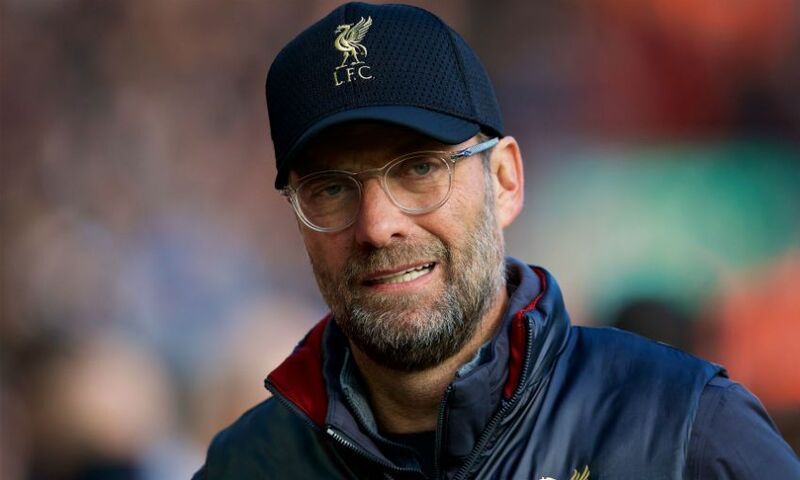 Jürgen Klopp declared himself pleased with Liverpool’s performance as they maintained their unbeaten start to the 2018-19 top-flight season with a 2-0 victory over Fulham at Anfield. 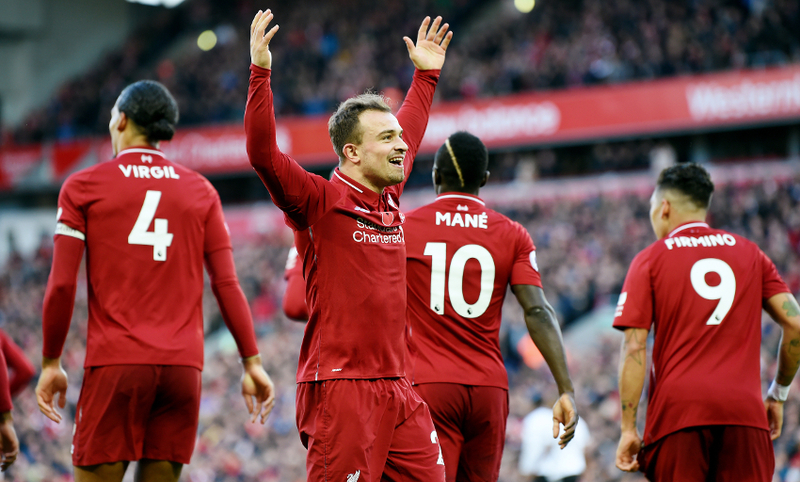 Mohamed Salah and Xherdan Shaqiri struck the goals for the Reds to overcome the Cottagers and take their points tally to 30 after 12 matches – their joint-best ever total at this stage of a campaign in the Premier League era. Afterwards, Klopp acknowledged his side were made to work hard for the win by a Fulham side who created a handful of first-half chances, but ultimately was satisfied by the manner in which his team secured maximum points as they signed off for the international break. In a few moments it was tougher, in a few moments it was not tough. That’s how it is. When we saw the line-up we were obviously a bit surprised – how could we prepare for that line-up? It was the first time in the season I think that they played like this, with four or five centre-halves. It was clear then what would be their approach. So far, Fulham have always had a football-playing idea and today you saw it – after winning the second ball they were on their toes, they played football but with a lot of long build-up, a lot of long situations and Mitrovic did outstandingly well in these situations. So that was a bit tricky but apart from that I thought the boys did really well from the beginning. We created, we passed, we accelerated in the right moments. We had big chances early with Sadio, Shaq, Mo in the box where they blocked it in the last second, where the goalie could make a save. I don’t know how exactly many chances there were today, it’s not too important. We scored twice, maybe it’s a bit strange that one was after a quick restart and one after a set-piece, the second ball phase, but that’s very important as well that you have these situations and you can use it. So I’m completely happy. Apart from scoring more goals it was a really good performance. Fulham always have the quality to cause problems, it was this time really good for our analysis that we had the Man City games [against them] because even though results were pretty clear, especially in the league game I think, City had to work really hard in these games. You only usually see the result but in this case we watched those games for analysis. So no problem with that. We had to work hard, we won it, all good. What can I say about that? I saw it once, meanwhile, so I am not sure. Was it offside or not? We didn’t get a goal against us. I don’t want to compare it but against Arsenal we scored a clearer goal which was not offside and didn’t get it. At the end you cannot change it. The most important thing is then reacting that quick in a situation like that – that was brilliant, Ali, Trent, Mo and done. That was a fantastic situation. On the other hand side, if you watch the situation back it was a very good routine of Fulham, I have to say. It’s difficult to see for the ref but it’s a clear foul on Robbo because Robbo is our second free man, our zonal guy to go there to avoid the cross, and he couldn’t because I’m not sure which player of Fulham capped him. It was a good routine and in the end we were a bit lucky. By the way, maybe because of Robbo he is not 100 per cent offside, with his heel or whatever, and before that somebody holds him. It is like it is. We cannot change it, Fulham cannot change it. The reaction was brilliant. I wished him good luck – that’s what I think makes sense and what we always do. It was not a long talk, but I have absolute sympathy for him in his situation. I think today they changed their approach for the first time; in the end it was not the result they wanted but you see this team has a lot of quality and they work really good together. I am wishing them all the best for the rest of the season. I watched them last year a lot in the Championship and it was brilliant. I don’t think a lot of teams with a football-playing idea get promoted from the Championship, but they really played football. That’s good and I think they should stick to it because that’s where they are really good, but of course you have to finish off your situations, you have to score from the chances you have. We didn’t do that often enough to have a clearer result, but that was a bit the situation of Fulham. Nobody knows, even when it was lucky for us, in the situation of Sessegnon if he scores then what happens then. I think when I look at the performance today we were that much in the game, that much focused and concentrated that I think we would have won it anyway, but we don’t know exactly. For us it was good and for them not that good, that’s part of the job. If you ask me, I always want them to stay here but in this case, it is good for him. Guinea play one game against Ivory Coast I think and that will be tough for him, but good for him. He is fit, he is now four or five days in training and so now he will have another four or five days in training and then play a game. That’s brilliant for him. In this case I am happy. Most of the players only have one game, England and Brazil have two games and the latest games as well on Tuesday night. It is good that the Brazilians are at least in England so the travel stress will not be too much. It is like it is, we don’t have to think about it. If a player is fit and is called up then they go. Joe had all the games. With Joe we are not sure, we are in talks about that. Hendo is 100 per cent fit, he needs games as well and that’s cool. I cannot make the decisions for the managers of the different countries, so if they call them up then they go there.